Last week, on Thursday evening, we received an email from Saikat Datta, where he claimed that he had a recording of a conversation, from an iSPIRT meeting, where we discussed various ways to get around the Supreme Court verdict on Aadhaar, along with other allegations. While this recording was unauthorised, and we were in the midst of internal deliberations (and we have pointed this out to Mr Datta), we have engaged with the reporter to ensure that our view was presented fairly. We are publishing this email exchange and that audio file in the interest of full disclosure, and transparency. In our last email to Saikat, we have mentioned that we have earlier seen activism in the form of reporting, and requested that he report on this issue fairly and that he present our answers in full. We do hope that he will do so. In the meantime, we wanted to let the iSPIRT community know that we will continue to deal with issues such as these with transparency. If we are doing something incorrect/inappropriate, we will welcome any feedback. The post is authored by Sanjay Jain and Sharad Sharma. Know Your Customer (KYC) is essential for obtaining Financial, Healthcare, Insurance, and Telecom services around the world. In the Indian context, until Aadhaar opened up its APIs, KYC was a laborious process costing billions to services providers and inconveniencing customers with a mountain of paper identity documents. The thoughts here are confined to the Banking sector but applies to other sectors equally. With the advent of electronic KYC or eKYC using the Aadhaar biometrics platform, things haven’t changed a lot. It certainly has reduced paper documents. However, eKYC is still done in “assisted” mode – meaning either the customer has to be present at the Bank or a Bank Executive has to reach the customer to collect the biometric data. Besides, in most Banks, a paper trail is still maintained despite the biometrics data – reasons best known to themselves. What was costing the Banks earlier is what is costing today – perhaps more with the new biometric devices and the cost to maintain them. The Reserve Bank of India (RBI) took a significant step in December 2016 to allow opening of deposits and borrower accounts using OTP based eKYC, albeit with some restrictions (RBI notification on 08 December 2016, Chapter VI – Customer Due Diligence (CDD) Procedure – Clause 17 and 38 amendments). This has opened up the opportunity to provide this service to customers at the comfort of their homes at a vastly reduced cost to Banks. This would satisfy the two-factor authentication needed by RBI and would suffice to open an Account. However, with increasing volumes (500 million eKYCs projected for 2020 by UIDAI), and the possibility for this service to be abused through third party fraud, this would need additional authentication to ensure that the person completing the transaction is who he really says he is (as close to a physical check). To solve this particular problem, FRS Labs rolled out the “Atlas eKYC” solution – fully integrated with Aadhaar – with face biometrics as the third factor of authentication (watch the 60 second video here). While the face is captured by UIDAI as the third biometric element (fingerprints and IRIS being the other two), RBI has not mandated the use of face for biometric authentications – for reasons that face is considered not as unique as fingerprints and certainly not IRIS – and the false acceptance rates (e.g. twins) could be high and that people’s faces change over time – but as always research contradicts this notion and there are plenty of evidence to prove that face is a reliable biometric feature. And it can only get better. Notwithstanding, RBI has not specified that face could not be used if a commercial organisation wishes to do so as additional factor of authentication to protect their businesses and consumers, so long as the mandatory 2 factor authentication is in force. In a similar tone, RBI has not ruled out authenticating customers using their voice (another biometric element not in Aadhaar). ICICI Bank and Citibank have rolled out voice biometrics to authenticate customers to call centres is a case in point – It is still two factor authentication (the registered mobile phone as the first factor and the consumer’s voice as the second factor of authentication). Therefore, there is a great opportunity here for Banks to provide face biometrics as the third factor of authentication for secure “unassisted” OTP based eKYC without the need for biometric devices. I can only begin to image the convenience for consumers and cost savings for Banks. Author: P. Shankar – Founder & CEO of FRS Labs. This afternoon the Prime Minister unveiled BHIM – an Android app from NPCI with an equivalent USSD-based *99# service. Additionally, recently one of the banks launched AadhaarPay – a capability that allows merchants to collect payments from consumers with their Aadhaar# and fingerprint. There has been a bit of confusion about the role of Aadhaar in BHIM – so this blog clarifies. BHIM/SmartPhone – the Android and soon iOS app – is a UPI app – no different from PhonePe or any other bank applications. It has been developed by NPCI and is a common application across all banks. As with ALL UPI apps, BHIM has NO connection to Aadhaar – the customer is authenticated by his issuing bank using his Mobile# and MPIN and nothing else. Of course this app conforms to all the security-standards of any UPI application and has gone through the rigorous certification process. *99# is merely a USSD front-end to the same capabilities. It does exactly what BHIM does but can be accessed on all phones – SmartPhones and Feature-Phones. Aadhaar itself has NO direct role to play in BHIM – whether on Android or USSD/*99#. AadhaarPay – leverages the Aadhaar-linked bank accounts to allow payments to a retailer. The payer need not provide anything more than an Aadhaar number and their biometric to the payee. The retailer receiving a payment needs to have a SmartPhone with an Aadhaar-approved secure Biometric Sensor and a certified AadhaarPay application. In this case the security-standards for customer data and biometric must comply both with UPI’s transaction level security and Aadhaar’s biometric security. In the case of AadhaarPay – ONLY Authentication is performed by Aadhaar/UIDAI – the transaction details are never sent to Aadhaar. Think of it as Authentication is done by Aadhaar and Authorization by NPCI/Banks. One instance of AadhaarPay was released last week by IDFCBank and over time one may see a common AadhaarPay app that at the front-end uses Aadhaar for authentication and the BHIM/UPI back-end for authorization for users who don’t have a mobile phone. The UPI platform, BHIM, *99# and AadhaarPay are great state-of-the-art platforms and applications that are a boon to all Indians. 2016 has been a great year in Payments progress worldwide – and India is leading the way! With BHIM, *99# and AadhaarPay, the entire 1Billion plus population is now covered with a state-of-the-art real-time payments system. Those who have Smartphones will get the rich-app experience, those who have feature phones will use the USSD interface and the rest will merely need Aadhaar# and their fingerprint/IRIS biometric for to make payments. 3-Cheers to NPCI and the government for blazing such a fabulous trail! The new Twitter handle @NPCI_BHIM is a great way to stay informed about future developments regarding BHIM! I wish all readers a happy end of 2016 and an awesome year in 2017 – Payments geeks will indeed have a lot of fun working on UPI and the new world of interoperable, secure and universal payments! For the year 2016 by World Bank’s records- India moved up from 134th to 130th rank in the Ease of doing business Index. Among the parameters mentioned earlier, India has best ranked in the protection of minority shareholders. It has also bettered its rank in the availability of electricity, getting construction permits and starting a business. On the downside, paying taxes and accessing credit have been the most difficult for business. Additionally, two key parameters that India needs to work on are enforcing contracts and resolving insolvency, that have both been a hindrance in conducting business. GST (Goods and Service Tax) will replace indirect-tax, to be implemented by 2017. That is the removal of several layers of multi-layered taxes and multiple tax rates into one uniform Goods and Service Tax. This will make India attractive to foreign Investors as well as boost India’s exports because of less regulatory and bureaucratic tangles. In cities like Delhi and Mumbai, online construction permits such as DPMS (Development Permissions Management Systems) are in the process of being launched. Since the permits are completely digitized, the biggest impact this will have is speeding up the process of getting a permit by 5-8 months. It will save one the trouble of meeting someone in person, which has a direct positive impact on reducing corruption, delayed work and human error to a large extent. Minority shareholder’s Interests are well protected in India. Apart from ranking high on the ‘ease of doing business Index’, a greater disclosure is now required of the board members on matters of ‘conflict of interest’. A National Company Law tribunal and an appellate tribunal was set up to replace the existing Board for Industrial and Financial Reconstruction (BIFR) and Company Law Board (CLB). The National Company Law Tribunal was set up to resolve corporate disputes faster and efficiently, to examine existing laws that relate to winding up procedures and to suggest reforms regarding winding up and insolvency in an effort to match up to international standards and practice in this field. The Foreign Exchange Management Act, 1999, was set up with the aim of Increasing foreign exchange through increasing external trade and promoting foreign exchange markets in India. All Offences relating to Foreign exchange are considered Civil offences. Export and Import of Foreign Currency – the upper limit of notes an individual can take outside the country or bring into India is INR 25000 (currency notes or RBI notes). Other Structures – Not for Profit entities, etc. are subject to FCRA regulations. It is safe to say that with the Governments several acts and initiatives to stimulate increased investment and growth, India has truly built favourable all-round business conditions. India emerged as the top destination for foreign direct investment (FDI) by capital investment in 2015, attracting $65 billion worth of investments, overtaking China and USA. Business in India? Absolutely. Guest post by LegalDesk.com, a Do-It-Yourself legal platform for making legal documents online. LegalDesk.com helps startups with incorporation and legal documentation services. It also provides Aadhaar-based eSign service to businesses. iSPIRT is happy to note the Union Finance Minister, Mr. Arun Jaitley’s thrust in the direction of boosting the digital infrastructure in the country with specific reference to the Aadhar. Aadhar powered by India Stack will allow people to offer presence less, cashless paperless service delivery to millions. Also digital literacy will also provide a big impetus in the rural areas. The second initiative of iSPIRT which has been positively impacted by the Union budget is the ease of doing business in India and therefore the incentive for companies to Stay-In-India through the capital gains incentives where there will be no capital gains tax applicable if the funds so received are invested in a notified fund of funds by individuals in specific start-ups. The other major step is the decision to tax the Royalty Income from Patents developed and filed in India at only 10%, this we believe will certainly encourage companies to file more IPR in the country. That said, we are disappointed with no attention being given to easing taxation norms of software companies where there is significant friction, the confusion on “goods” verses “service” tax on online downloads, TDS on sale of Software products and competition from foreign selling B2C products without any tax in India. iSPIRT continues to work closely with the Government of India to enable the software product companies and start-ups to make the next leap with incentives from the Government. The Union Budget just presented is semi-sweet with specific sops being given to the start-up community in continuation of earlier policy announcements made by the Prime Minister Mr. Narendra Modi. There is a lot more that could be done to incentivize innovation and specifically ease the TDS conundrum which start-up and product companies find themselves adversely caught in. “While there are no major sops announced for the software product industry, the Government must understand that incentives to this segment of the industry will result in an exponential leap in exports and place India in an unshakable position on the world software product stage. That said, the decision to tax the Royalty Income from Patents developed and filed in India at only 10% is a good move by the Government and will certainly encourage companies to develop and file more IPR in the country ,“ says Vishnu Dusad, Co-Founder & Governing Council member of iSPIRT & MD, Nucleus Software Exports Ltd.
iSPIRT and SBI had a 4-hour meeting on the future of banking. 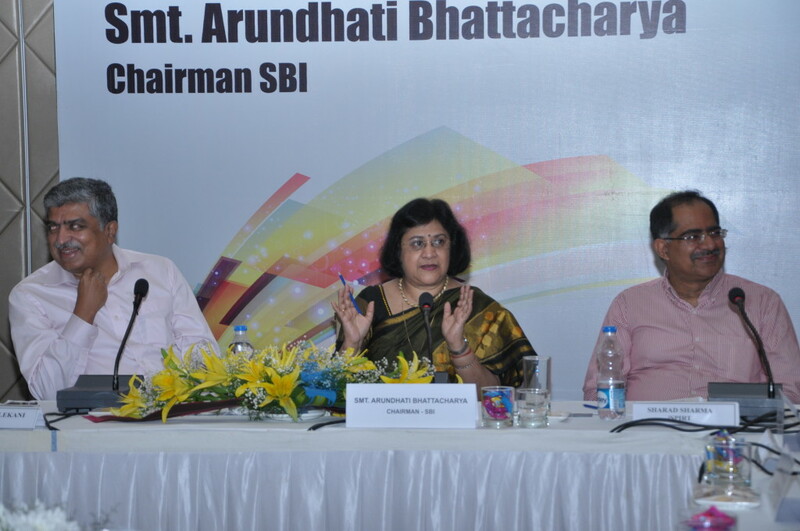 30+ seniormost officers of SBI – including all the MDs, DMDs, CGMs, and GMs – participated. Two SBI Board members were also present. Nandan Nilekani chaired the session from iSPIRT side. The first session was about understanding the technology trends that are shaping banking. There was special focus on understanding implications of eKYC, Aadhaar, new payment infrastructure and GST Network. There was also a good discussion how point-solutions by startups are changing banking. The second session showcased 7 Fintech software product companies (Novopay, Happay,Vote4Cash, CapitalFloat, CustomerXPS, ProbeEquity, Enstage) and 2 non-FinTech product companies(InMobi, TeamIndus). The third session session was about SBI strategy. This was a very productive discussion. We can’t share the details as it was confidential. This meeting brought together two threads within iSPIRT. One thread was related to its Policy work related to Open APIs (that is shaping the technology infrastructure of banking and finance in India) and the push for Cashless India. The other thread was InTech50, which is a market catalyst that helps big companies leverage software products startups to drive innovation throughout their business. iSPIRT is fostering many such dialogs with not just banking giants like SBI, but with Regulatory institutions like SEBI, RBI and others, to fashion a new India. Sanjay Jain, Entrepreneur in Residence, Khosla Labs spoke at the IPMA 2nd annual event. The Unique Identification Authority of India (UIDAI) is an agency responsible for implementing the AADHAAR scheme, a unique identification project. It was established in February 2009, with an aim to provide a unique identification number to all Indians, by eliminating duplicate and fake identities. Biometrics features are selected to be the primary mechanism for ensuring uniqueness. The primary reason for the UID project was to establish the bona fide identity of a person. 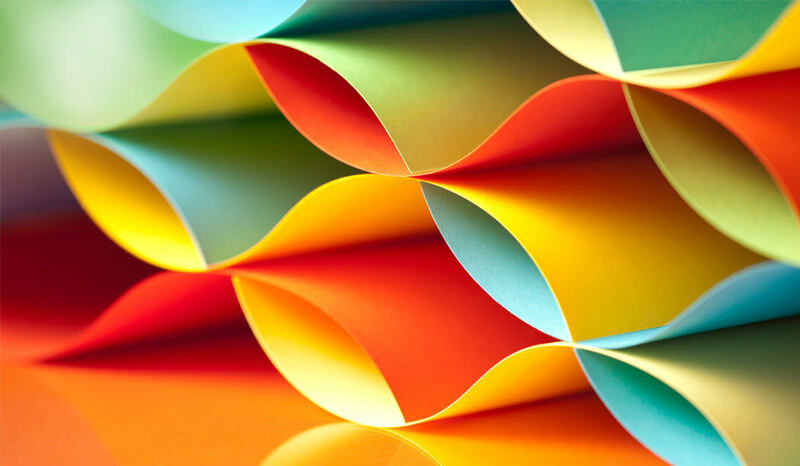 Lack of an identity proof often excludes people from many facilities and formal systems in society such as opening a bank account or access to public distribution system (PDS). In most cases the rural poor find it difficult to even produce birth records to prove their identity even to claim their (legitimate) privileges. Sanjay Jain who spoke at the IPMA second annual event which was held on the 8th of December, was the chief product manager for this project. He spoke about 7 principles of Product Management and mapped it to Aadhaar, the ambitious Government Project. Know thy user: Aadhaar has a process called ‘Know Your Resident’ which is about proving the identity of a resident of India. So it has information like their name, finger print, gender, date of birth, where they live, who is their parents etc. which helps knowing the resident intimately through the data collected. Simplicity is a Feature: What could be simpler than one person – one Aadhaar Id. The principle that Biometrics doesn’t change even with time and they are unique to a person is the basis for issuing Aadhaar. Aadhaar card, the 12 digit identification number and the biometric of the person are the authentication. A committee was put in place to take decisions. First data definition standards and biometric data standards were created and a broad concurrence from across the government was obtained to implement the same. Data is your Guide: A public portal was created which gives complete visibility and transparency to anybody at any time, satisfying RTI norms. A person who has applied for Aadhaar can check status on the UIDAI website by entering his/her 14 digit enrollment id. The UIDAI being a part of the Central government agency works with the partners whom the state government outsources the work to; they are 3 levels away from central body, so everybody in the chain gets complete visibility to all information. So the processes are standard and details of contracts are available on the partner portal. The operators had to go through rigorous training and certification before they were activated. Innovation is not instant: Innovation takes time. Central identity repository (CIDR) is the repository where all the identity data pertaining to Biometric subsystem, Demographic data, Business analytics, Infrastructure management, Application servers etc. resides. The attempt is to build the world’s largest biometric database, India’s current population is 1.21 billion and the UID scheme aims to cover all the residents. No country has attempted an identification and verification system on this massive scale. The method adopted is ‘the best fingerprint technology’, the resident provides all 10 fingerprints, 2 best finger prints are taken and the success rate is 95%. Adapt: Competition brought in a drop in prices; for example when the project started the price of the fingerprint scanners, like the ones used in the US immigration, was 5000 USD; it came down to INR 25,000. Manifest Destiny: To take up a project of this magnitude needed conviction – One needs to believe one can do it, believe in success and work backwards.